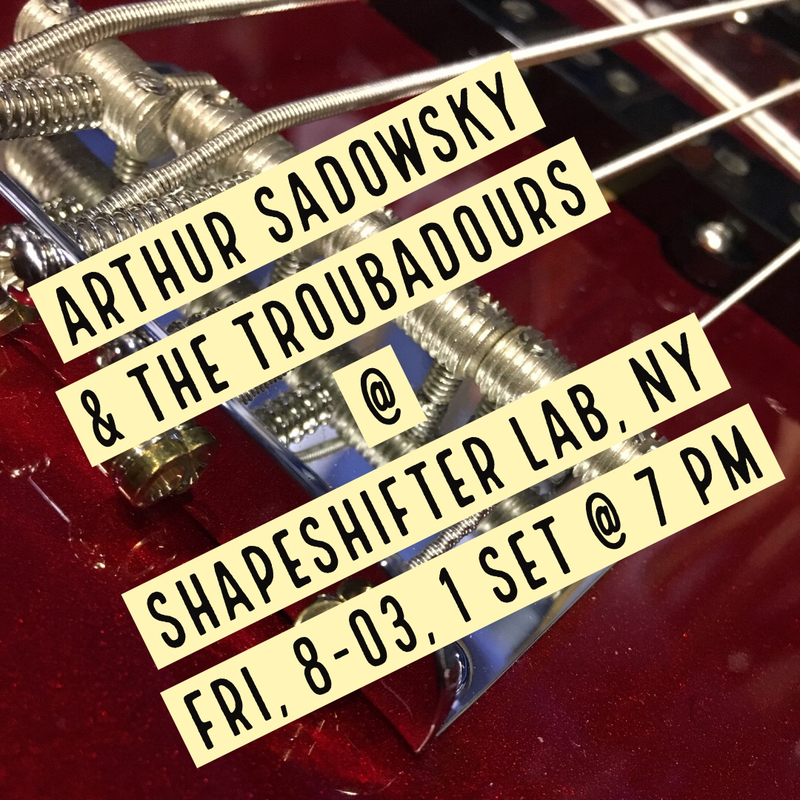 Arthur Sadowsky & The Troubadours performing live @ ShapeShifter Lab on Friday, Aug 3rd, 2018. Doors: 06:30pm / Show: 7pm / Tickets $12 / Reservation Advised! Previous Post: A HUGE SHOW @ The 55 Bar, Sunday, April 29th, 2 Sets 6-9pm!